Places to see in Pelling: Savor the panoramic view of the splendid Mount Kanchenjangha and other snow covered Himalayan peaks from Pelling. Pelling offers wonderful view of some peaks like Rathong, Frey, Kabru Dom, Pandim, Narsing, Tinchikhang, Siniolchu and Mt. Kanchenjungha. You will be truly amazed by viewing the earliest monastery of the region, the Pemayangtse Monastery, belonging to the Nyingapa sect. The monastery offers visual pleasure by its impeccable sculptures and wall paintings. If you are visiting the monastery in January-February, you can witness a religious dance called ‘Cham’. Locate the Rabdantse Ruins, which is 10 minutes walk away from the Monastery. You will also find a forest area nearby, admired with some exotic orchids and few lakes. Pelling also features a helipad ground, though there is no provision for regular air service. Nearby attractions of Pelling: You can organize tours to visit some of the prominent locations around Pelling. 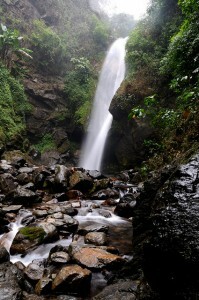 The Changey Waterfall, located at a distance of 10 km. from Pelling is worth visiting. Tourists also travel a distance of 28 km. to view another spectacular waterfall, the Kangchendzonga waterfalls. Make a trip to the site of Khecheopalri Lake, highly acknowledged as one of the holy lakes in Sikkim. Surprisingly, there is not a single leaf on the lake surface, which is said to be cleared by birds. The other two major tourist attractions are the Rimbi Water Falls and Karchen Power House. You will truly enjoy your visit to the Sewaro Rock Garden, admired with flowers, fountains, spectacular gardens, ponds, swimming pool, cafeteria and well-maintained rocks. A fair called Maghe mela is also celebrated at the site. 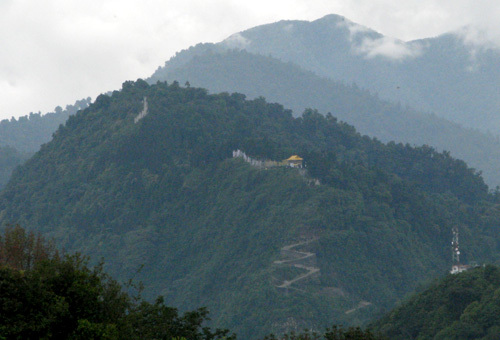 Things to do in Pelling: Peling is a great place for monastery trek. You can take part in a 3 day trek, from Pelling to Kechapalari lake and then to Yuksum and finally to Tashiding. Enjoy a nature walk along the pathways of Pelling. You can also try your hand in fishing at Rimbi, where you can angle a local fish called Assala. There are few shops in Pelling, displaying an array of gift items, post cards, maps etc. You need to bargain a little, if you intend to buy from those shops. You can also take a short 30 mins nature walk to Sang Da Choeling Monastery – which is one of the oldest monasteries of Sikkim. Pelling is also popular as a bird watching destination. How to reach Peling: The nearest railway station of Pelling is located at New Jalpaiguri at a distance of 135 km. There are regular trains like Darjeeling Mail, Knchenjungha Express, Kanchankanya Express, Teesta Torsa and others from Howrah to New Jalpaiguri. Hired cars are available from New Jalpaiguri, Siliguri, Gangtok, Kalimpong, Jorethang and Namchi to Pelling. The nearest airport from Pelling is the Bagdogra airport. Best time to visit Pelling: You can visit Pelling round the year, though it is good to avoid the rainy season. 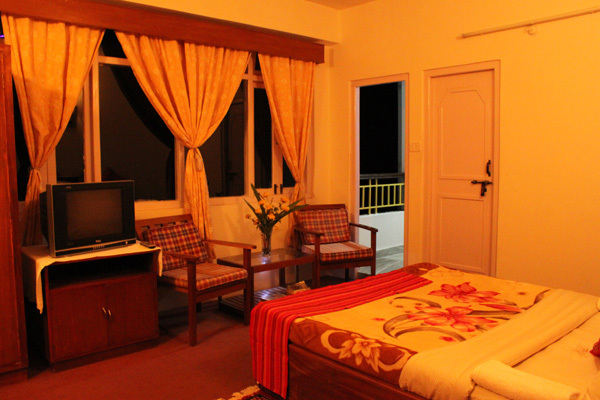 Lodging and dining in Pelling: Our hotel in Pelling has wall-to-wall carpeted cozy rooms with all modern facilities like Western toilets with Hot Water Geysers, deep-cushioned extra large double beds, attached balconies with views of Mt Kanchenjungha, Televisions and Intercom. The hotel has a lovely dining hall with views of Mt. Kanchenjungha, a lounge, a small garden with a gazebo and a little forest in its backyard too. There are a number of restaurants in Pelling serving all types of delicacies ranging from South Indian to Bengali cuisine. However, you would find number of eateries serving Thukpa, Momo and other regional delicacies. Hi, found this website to be very informative. The info about Sang Da Choeling Monastery is really interesting. 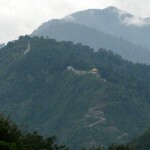 Most people who visit Pelling do not go to Sang Da Choeling Monastery. I only saw foreigners visiting the place regularly. Surprisingly Indians, specially Bengalees roam around the helipad and most do not even know about Sang Da Choeling Monastery. Those who do not go to Sang Da Choeling Monastery miss the best views from Pelling.